Make the most of limited space! 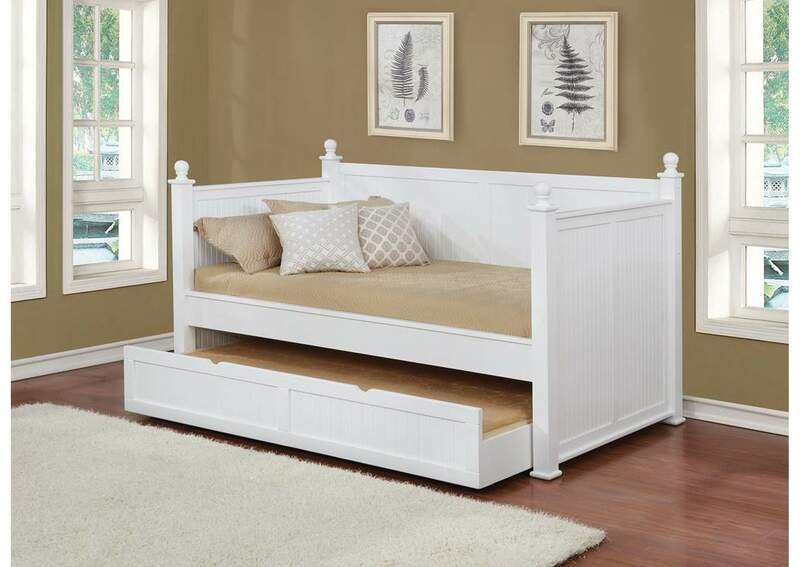 This classically-styled daybed with trundle bed features a lovely white finish to brighten any room. The included trundle bed fits a twin-size mattress and is perfect for a child’s room. What a wonderful (and efficient) way to help your child transition to a “big kid’s bed"!